Ready to take advantage of the Indian summer? To enjoy a few more days at the beach before cooler temperatures arrive for good this time? By the end of September, the crowds have gone home, the beaches are empty, and the vendors are friendlier. It may take a little longer to warm up in the morning, but that just gives you the perfect excuse to sleep in. So pack your bags, you’re off to Lithuania. 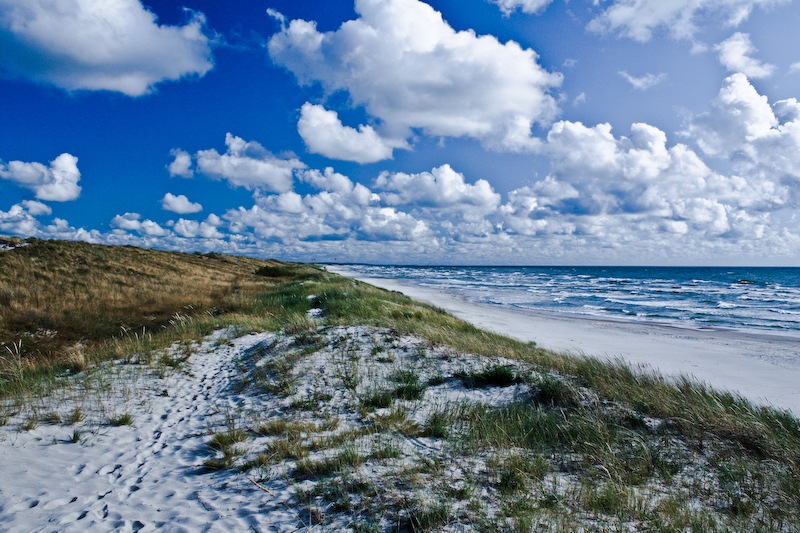 The resort town of Palanga, along the Baltic Sea, is a popular destination for Scandinavian and German tourists. Palanga Beach, an 18-kilometer stretch of white sand, is a huge draw. During the summer, people flock to the beach to sunbathe all day and party all night. With bars set up right on the sand, you can drink until sunrise in Palanga. The summer party may have ended, but the beach is still open. Walk through the pine forest until you find a skinny path that cuts through the dunes. The salt air makes you giddy with excitement. The sand is cool on your feet, though the water will be even colder. Spread your towel on the sand. Walk along the water. It’s getting warmer by the minute. Play Frisbee. Read a magazine. Take a nap. And soak it all in. It’s a long winter before your next beach day. When it starts to cool down again later, walk toward the Basanavičiaus Gatvė Pier. The wooden pier was first built in 1888, and now it’s a popular place for families to buy ice cream and watch the sun set. You’ll be back later. Stroll down Basanavičiaus Gatvė, a lively, pedestrian-only street that’s lined with wooden houses. Pedal-powered taxis ring their bells as they pass. Restaurants, bars, and shops flow onto the sidewalks. Visit Tiškevičiai Palace, a Neo-Renaissance home that was turned into the Palanga Amber Museum. Roam the botanical gardens outside the museum, stopping at the 19th century chapel, the pagan shrine, and the rose garden. And then follow tree-lined Birute Avenue back to your hotel. 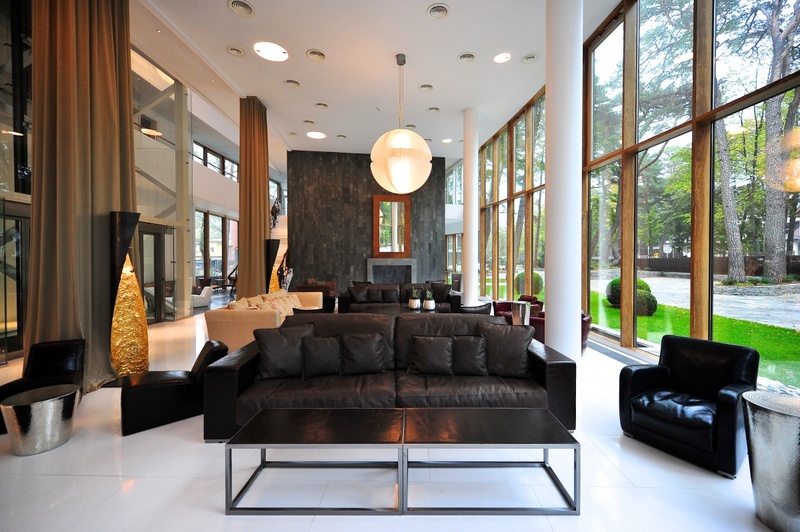 Amid the traditional buildings, you can’t miss Hotel Palanga. The modern, design hotel has floor-to-ceiling windows, Thassos marble, and Norwegian quartzite. At first, you aren’t sure why things feel strange. It’s because the floor has a seven-degree angle to create the feeling of another reality. Book a black sand body scrub at the spa. Stay to swim laps in the pool. And don’t miss dinner here. The hotel’s restaurant is one of the best in Palanga. Order a salad with flambéed chicken liver, crispy king prawns in kataifi dough, or rabbit-filled ravioli. You’ll walk it all off when you head back into town. Join the growing crowd back at the pier. Long-sleeved shirts and lightweight jackets have replaced sundresses and bikini tops. The air is changing. Summer excitement has turned into winter dread. Just a few more days, please.